today it's all about a Bullet Journal. 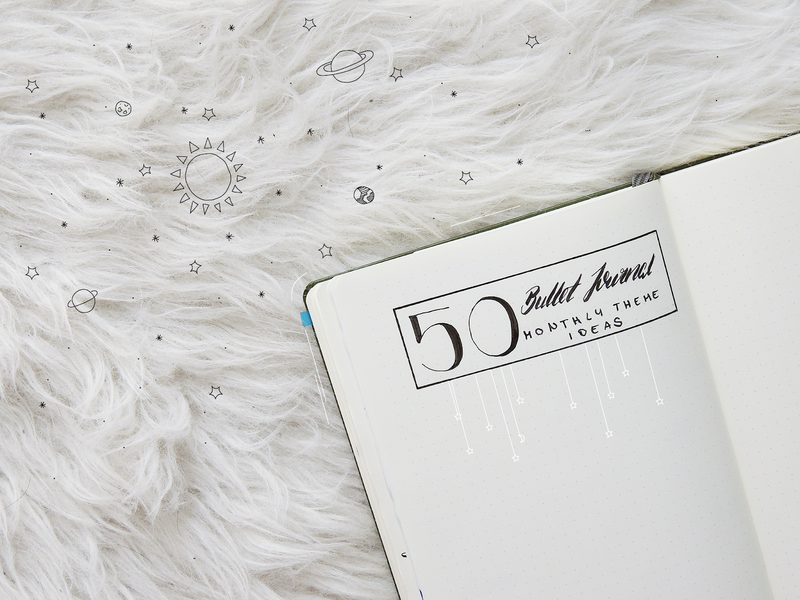 The beautiful thing about a Bullet Journal is that you can create or decorate it however you want it. I have been using this system for more than 3 years and during the time I got more and more creative and confident. I found my way to design this journal most effective for me. And still, I have days where I have no idea what to draw or which theme to chose for the month. To prevent this, I share 50 monthly theme ideas with you! Today, I will not have a picture for every design idea, but a list with theme ideas you can choose from. If you found a theme you like, it is your choice how much and how you implement it in your design. I use at least the color of the month on every page and try to have space for a little sketch. It could also be possible that you olny have one page with a big painting and the rest is minimalistic or you show you chosen theme big on every single page. Or you choose quotes to show your theme to mix it up with the sketches. 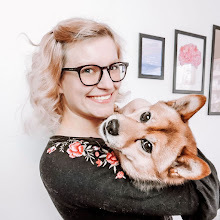 It is your Bullet Journal - it is your choice! Create it however you want! 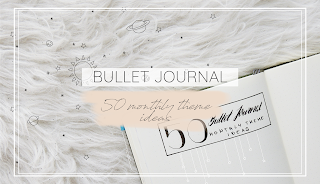 If you are not sure how to start your Bullet Journal, then you can check out this post and here you can find 5 ideas how to make a monthly overview. 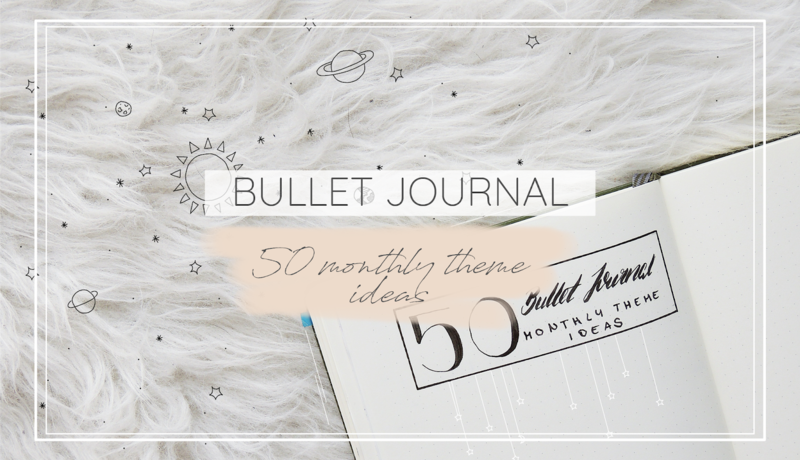 And it you still need inspiration, then click on this post - it is my Bullet Journal setup for March. And this is it. While writing this list I realised that I have already tried a lot of different themes but not as much as I could! I will definitely chose next months theme from this list and go back to it whenever I am lackinig on inspiration or ideas. I hope you found what you where looking for.